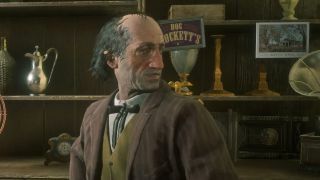 Red Dead Redemption 2 doesn't have a levelling system in the usual sense, in that you don't have a skill tree to unlock or experience points to spend on upgrading your character's abilities. However, there are still ways for you to add some helpful passive perks and bonus, and that's where Red Dead Redemption 2 Trinkets and Talismans come in. In order to craft these useful items, you'll need to visit one of the Red Dead Redemption 2 Fence locations, and bring along the right components and some cash to pay for the work. Some of these recipe 'ingredients' are hard to come by, but they're definitely worth the effort, as the finished products can boost your stamina, weapon durability, Eagle Eye duration, and more. We've got a full list of all the Red Dead Redemption 2 Perks, Trinkets, and Talismans right here, to show you exactly what components you need to track down for them and how much each item will set you back.